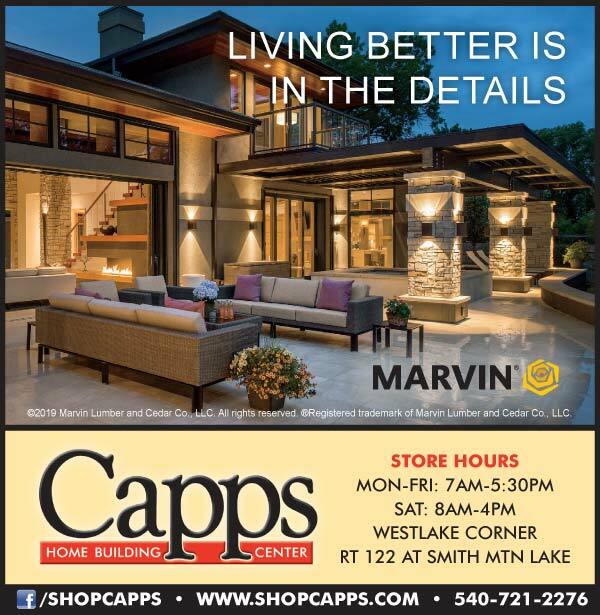 Did you know that Capps is now a Marvin Windows dealer for the Smith Mountain Lake and surrounding Roanoke Valley area? We’ve partnered with Marvin® Windows and Doors and are here to offer you guidance and expert assistance through the entire window replacement or repair process – broken down in simple steps. With the outstanding quality and durability of the Marvin product line, you can be sure that you are securing a long-lasting investment in your home. Our experienced professionals will help you choose the Marvin brand products that match your needs and ensure that your selected window and door designs fit your home and lifestyle perfectly. For over 100 years, homeowners have been relied on the quality and peace of mind Marvin Windows and Doors provide and Capps Home Building Center is happy to be a part of bringing these high quality building materials to the Southwest VA area. OPENING SPRING OF 2019! Visit our brand new Marvin Window and Door Showroom opening in Roanoke on Electric Road.